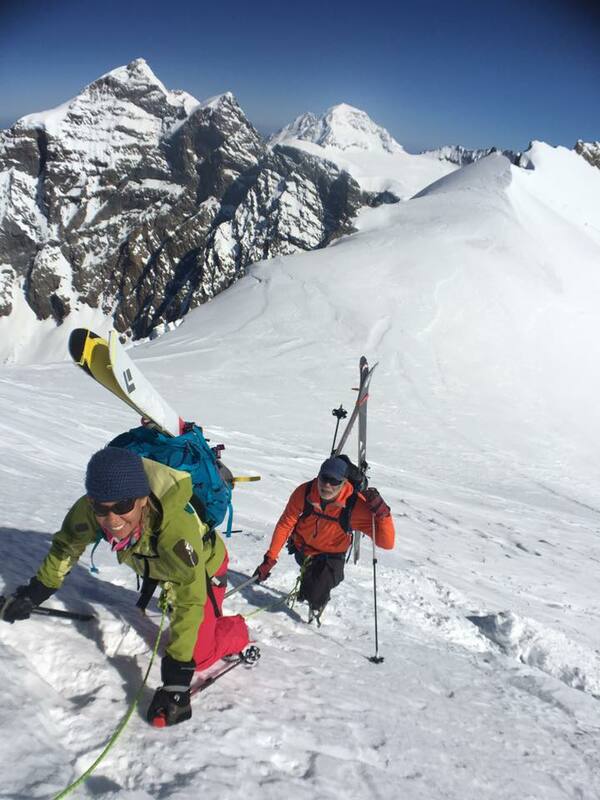 22 Jun Meet Shelley McDowell – Ski mountaineer and adventure-seeker! Are you searching for motivation to get off your backside in the depths of winter? Well then keep reading… Here is one amazing woman who proves that the cold isn’t the perfect time to snuggle up with tea and a book, it’s the perfect time to get out there and go on an adventure! This is one of our fantastic members Shelley McDowell who enjoys ski mountaineering. What does that involve you ask? Ski mountaineering or ski touring involves climbing the steep ascent of mountains with your skis on your back and then skiing back down. Not only do you get to ski on completely untouched terrain, but you get to visit some of the most spectacular places in the world! Shelley joined Joe’s Basecamp back in July last year because she was travelling to Patagonia to climb and ski some volcanoes in the area and wanted some more specific training support. She is now enjoying some one-to-one training with our coach Dan Marshall in preparation for an exploratory ski mountaineering trip based from a boat in the southern fjords of Chile. “I felt really strong on the Patagonian trip last year – the strength and conditioning program at Joe’s definitely improved my fitness, endurance and strength on the mountain, which makes the experience all the more enjoyable!” says Shelley. What she enjoys most about her big adventures, however, are the wonderful and diverse friends she has made on her wilderness trips around the world – in Japan, Svalbard, New Zealand, Europe, USA, Patagonia, Antarctica and at home in Australia. Shelley believes that her outlook on training has changed since she joined Joe’s Basecamp. “I rarely did weights in the past and I have learnt a lot about them and I’m enjoying feeling stronger. I have also learnt that I was fatiguing myself with too much training before I joined.” Receiving a professional training skeleton that is specific to her goals has helped Shelley to stay focused and on track, meaning she is better prepared when it’s time for the big adventure! “When I was 5 years old, my mother always told me that happiness was the key to life. When I went to school, they asked me what I wanted to be when I grew up. I wrote down ‘happy’. They told me I didn’t understand the assignment, and I told them they didn’t understand life.” – John Lennon. Like many of our members at Joe’s Basecamp, Shelley is pursuing something that makes her happy – ADVENTURE!